As far as Jewish holidays go, Purim just about has it all. A dramatic story with kings, queens, and intrigue; costume parades; delicious three-cornered pastries and carnivals all add up to one of the most kid-friendly and fun holidays on the Jewish calendar. There are so many fun ways to celebrate the holiday all over Middlesex and Monmouth counties, from Megillah readings and hamantaschen baking to Purim carnivals and beer tastings. So mark your calendars, prepare your costumes, and get ready to party! Purim 2018 begins the evening of Wednesday, February 28 and concludes at sundown on Thursday, March 1. Holiday sing-along with Cantor Marnie Camhi, PJ Library storytime, snacks, and an arts & crafts project! Free. Saturday, February 24, 10 – 11:30 a.m.
Help roll, fill, pinch, and bake hamentaschen to enjoy on Purim after the synagogue Megillah reading and help pack them into gift packages for college students. Sunday, February 25, 9 a.m. – 12:30 p.m.
Preschoolers learn about the holiday through crafts, games, songs & snacks. Sunday, February 25, 10 – 11:30 a.m.
Sunday, February 25, 11 a.m. – 2 p.m.
Games, food, inflatables, and lots of holiday fun for all ages. All are welcome. Early entry at 11 a.m. for children with special needs. Sunday, February 25, 11:30 a.m. – 2 p.m.
Carnival games, inflatables, pinata, face painting, and holiday treats. Free and open to the community. Sunday, February 25, 11:30 a.m. – 1 p.m.
Purim fun with games, music, bouncy house, and snacks. Sunday, February 25, Noon – 3 p.m. 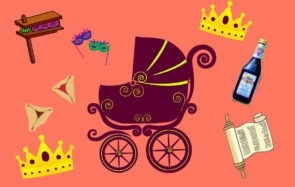 Celebrate Purim with a carnival for kids ages 5 and under, followed by a family-friendly Megillah reading. After Megillah, stay for dinner and Purim party featuring a video game truck, DJ, and karaoke. RSVP requested. Free and open to the community. Wednesday, February 28, 4:15 – 7:30 p.m. 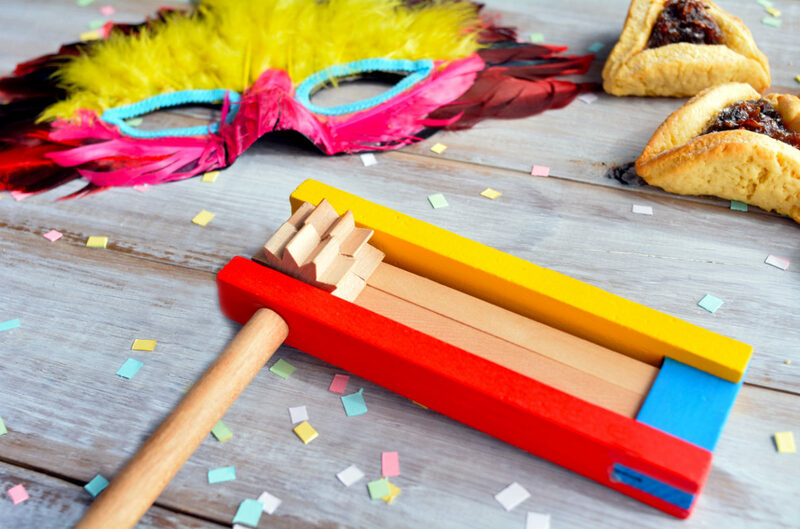 Celebrate Purim with carnival fun for all ages with food, games, and prizes. Megillah reading begins directly after the carnival. Wednesday, February 28, 4:30 – 7 p.m.
Family-friendly Megillah reading followed by a carnival with games, prizes, food, and fun. Wednesday, February 28, 5 p.m.
An abbreviated, family-friendly reading of the Megillah followed by dinner. RSVP requested. Free. Wednesday, February 28, 5:30 p.m.
Star Wars-themed family Purim program followed by Megillah reading. Wednesday, February 28, 6:15 – 8:15 p.m.
Full Megillah reading, magic show, and Purim party. Fun for all ages. Wednesday, February 28, 6:20 p.m.
A jungle-themed Purim adventure with Megillah reading, festive banquet, and reptile show. Prizes for every child wearing a costume. Community Megillah reading followed by food, music, dancing, and a performance by David Lawrence – mentalist, magician, and hypnotist. Wednesday, February 28, 7 p.m.
Family-friendly Purim celebration with lots of noise, fun, merrymaking, and a 613 balloon drop. Wednesday, February 28, 7 – 9 p.m. Celebrate Purim with a Purim spiel exploring the Book of Esther through the lens of British rock classics. Services to follow. Megillah reading followed by refreshments. Come in costume to add to the fun. Celebratory community Purim feast. RSVP required: 732-222-6666. $25/Adults; $12/kids ages 9-16; $5/kids ages 3-8. Thursday, March 1, 4:30 p.m.
Saturday, March 3, 6 – 10:30 p.m.
Saturday, March 3, 7:30 – 10:30 p.m.
Carnival fun with inflatables, swimming, face painting, live performance, and hamantaschen. Sunday, March 4, 11 a.m. – 2 p.m.
Purim sing-along followed by fun, games, and prizes. Early entry available at 10:30 a.m. for children in need of a quieter, calmer environment. Sunday, March 4, 11 a.m. – 1 p.m.
Creative and challenging games, awesome prizes, and delicious food. 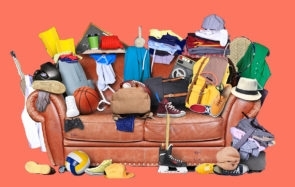 Sunday, March 4, Noon – 2:30 p.m. The Purim festivities continue with singing, dancing, live music from a klezmer/jazz band, and refreshments. Sunday, March 4, 1:30 – 4:30 p.m.